Andrew Grove (September 2, 1936—March 21, 2016) was a Hungarian-born American businessman, engineer, and author, known as former president, CEO, and chairman of the board of Intel Corporation. Just as you would not permit a fellow employee to steal a piece of office equipment worth $2,000, you shouldn't let anyone walk away with the time of his fellow managers. Isaacson, Walter (1997-12-29). "TIME: Man Of The Year". Time. A. S. Grove (1983/1995). High Output Management. Random House. ISBN 0-679-76288-4. Michael Kanellos (2005-05-18). Andy Grove coins his own law. CNET. Retrieved on 2012-08-13. By the time I was twenty, I had lived through a Hungarian Fascist dictatorship, German military occupation, the Nazis' "Final Solution," the siege of Budapest by the Soviet Red Army, a period of chaotic democracy in the years immediately after the war, a variety of repressive Communist regimes, and a popular uprising that was put down at gunpoint. . . [where] many young people were killed; countless others were interned. Some two hundred thousand Hungarians escaped to the West. I was one of them. Prologue: Grove summarized his first twenty years of life in Hungary in his memoirs. Andy Grove interviewed by Clayton M. Christensen, Harvard Business School Press conference, October 3, 2002. Cited in: "Andy Grove Tells The Truth About What Great Leaders Do." bobsutton.typepad.com/my weblog. by Bob Sutton, March 11, 2007. The drumbeat of the electrical transportation is accelerating like nothing I've ever seen in my life. The personal computer... went to individuals first before it went to corporations... The corporations are sitting, wishing this whole friggin' thing [Electric cars] to go away. Which is exactly what the computer companies' attitude was to personal computers. 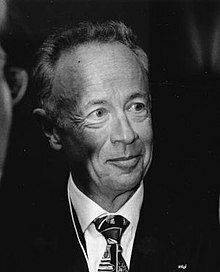 Andy Grove... escaped the ruins of postwar Europe to become one of the architects of Silicon Valley’s growth into the world’s center of technology creation. He combined the analytic approach of a scientist with an ability to engage others in honest and deep conversation, which sustained Intel's success over a period that saw the rise of the personal computer, the internet and Silicon Valley.